Boost your sales worldwide with Global-e’s proven cross-border solution, trusted by hundreds of leading brands. Expand your business to more than 200 destinations worldwide by offering a seamless shopping experience. Let shoppers browse and buy in their local currency; more than 95 supported. Allow shoppers to pay with their preferred local payment method; over 50 supported. 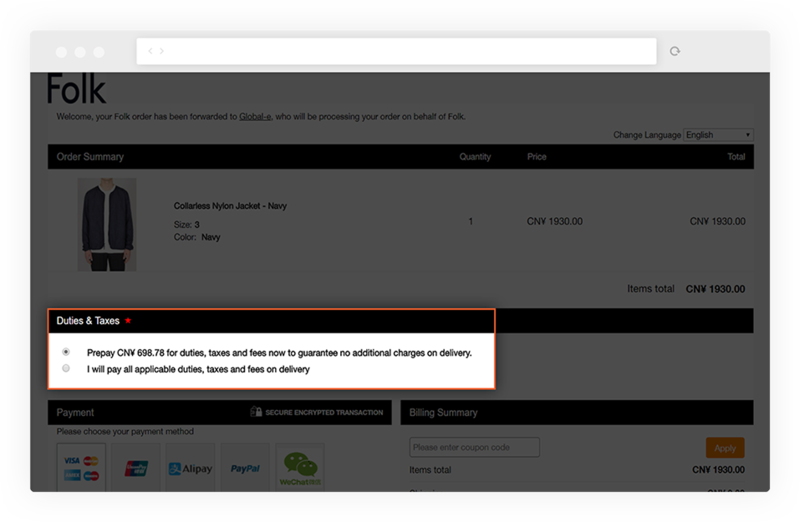 Prevent unpleasant surprises upon delivery; allow shoppers to view and prepay all duties and taxes at checkout. Offer a variety of international shipping methods at competitive rates. 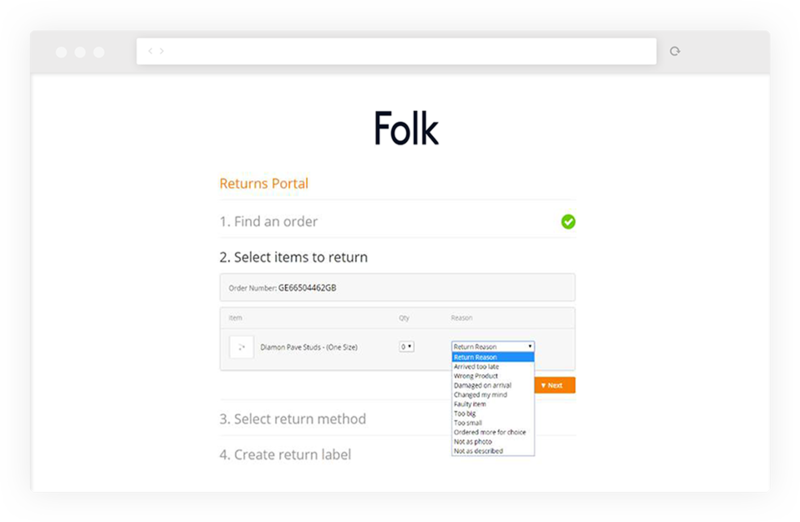 Transparent and easy returns process; pre-paid returns option. 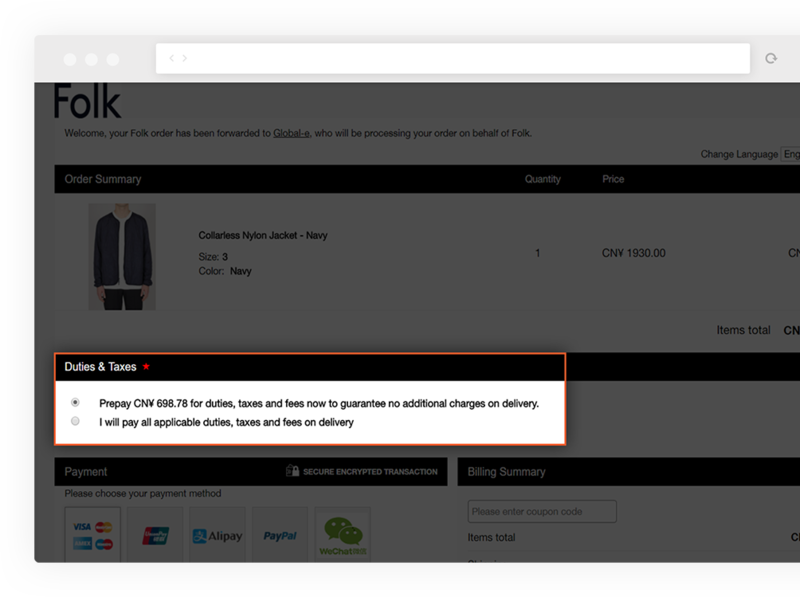 Complete the shopping experience with a localized welcome message and checkout process, available in 16 languages. 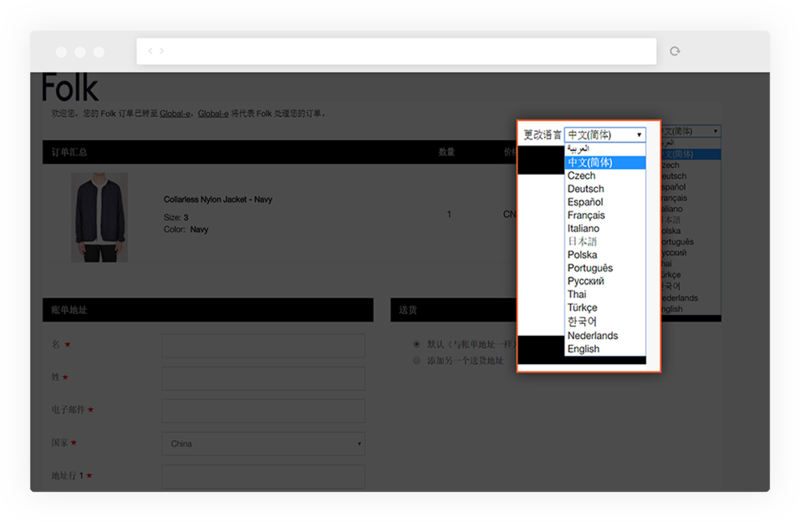 By implementing our Smart cross-border solution, giving shoppers a truly localized experience, Global-e Pro clients see an immediate and continued increase in conversion rates and international revenues. Global-e eliminates all complexities involved in cross-border selling including fraud, currency fluctuation, distance selling regulation, country restrictions and import processing, to ensure a seamless risk-free merchant experience. Our unique market-specific insights are derived from our vast experience in cross-border e-commerce. They are embedded into the shopper journey to optimize conversion rates in each and every market. Implementation is simple and quick. You’ll be up and running within a few days with our Pro wizard, growing your profits effortlessly in no time. Benefit from our streamlined operations. Let us handle all cross-border logistics including international shipping, customs, and returns. Grab new sales opportunities in previously inaccessible markets, and set your business on the path to scale. Expand your business internationally in a cost-effective and risk-free manner.